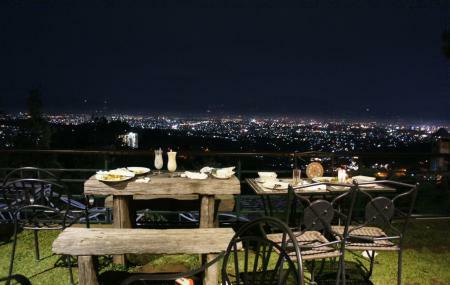 Try the best Bandung trip planner to visit this Cocorico Cafe And Resto as well as many others. Hotels like Meize Hotel Bandung, Utc Bandung and Hotel California Bandung will solve your problem of where to stay in Bandung. Draft the best Bandung vacation packages using ideal templates offered by TripHobo. Also explore how to reach Bandung on the go! Bus 17 to stop- The Stone caf,JI.Cigadung Raya Barat. Love this? Explore the entire list of places to visit in Bandung before you plan your trip. Fancy a good night's sleep after a tiring day? Check out where to stay in Bandung and book an accommodation of your choice. How popular is Cocorico Cafe And Resto? People normally club together Saung Angklung Udjo and Paris Van Java Rooftop Garden while planning their visit to Cocorico Cafe And Resto. Good view with a good food and coffee. You can enjoy the fresh air with a sip of coffee here. It's a bit pricey, but the taste is good. And no need to wait too long for our orders to come. Veey good coffee and ambiance.. Nice view of bandung landscape..
Well if u preferred taking selfie than to eat, this is the right place to it. Interior design is full with green artificial and real plant. Theres a city view on the terrace upstairs but the management somehow build function hall which it rooftop bit blocked the view. At night time the lightning set is a bit to dark. Not best for family with babies. Food? Well i just can give 3 of 5. Taste still enjoyable. They need to improve their western choice of menu. Myself preferred their indonesian menu which is really good and tasty.